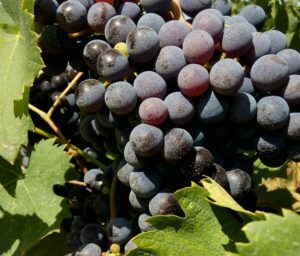 Just 20 minutes south of Florence, Impruneta celebrates its big local star, the grape, on Sunday, September 27, just as it has annually since 1926. This traditional Festa dell’Uva (Grape Festival) calls on the four rioni (districts) of Impruneta to rival their creative talents in a processional display of decorated floats, dance and music in honor of the annual grape harvest. The town’s Piazza Buondelmonti is a charming backdrop for this spectacular show of floats purposely designed to reflect allegories or aspects of the area’s wine-making tradition. Preparation takes months and involves hundreds of residents across the competing districts of S. Antonio, S.S. Marie, Fornaci and Pallò. For generations, neighbors have collaborated on the planning and construction of the gigantic floats, designing and preparation of costumes, decorations, music and choreography. Elaborately dressed in the theme of their float’s decoration, members of the community are an important part of the show as they proudly parade alongside their district’s float and perform extravagant dance routines. A double jury nominates the winning neighborhood. Fireworks follow to cap off the day of celebration. In keeping with the event’s tradition, to ensure a successful harvest in the following year and to stimulate residents to create even more elaborate designs for the future, the floats are eventually and permanently dismantled. Prior to the afternoon competition, visitors can meander through the square and visit stands where local agricultural goods and artisanal products handcrafts will be on display, including works made from Impruneta’s world famous terracotta and the wines of the Chianti Colli Fiorentini. Food stalls open at 11 am. At 3 pm the town’s mayor welcomes gathered spectators in Piazza Buondelmonti and local artists offer a performance of music and dance before the procession of floats begins at 3:30 pm.